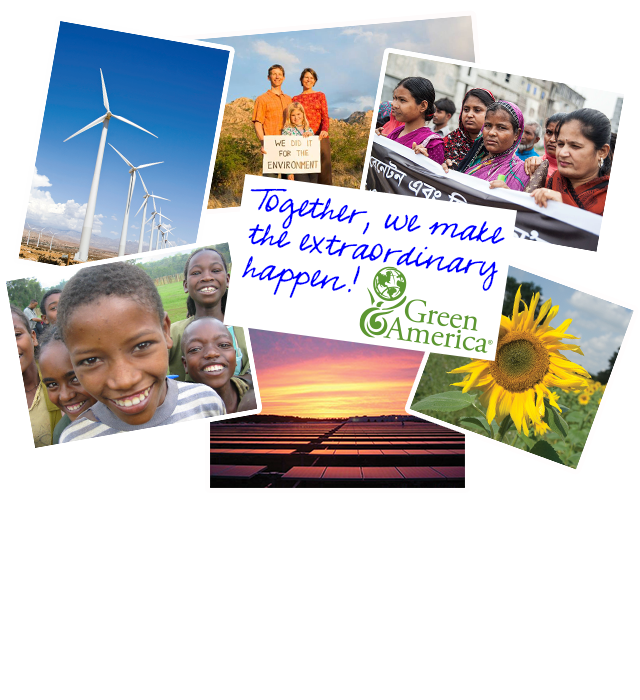 Yes, I want join Green America and support your ambitious 2019 agenda to tackle climate change, build fair trading systems, stop corporate abuse, protect our food, and grow the green economy. Your tax-deductible donation will be TRIPLED! Your tax-deductible donation of $20 or more entitles you to a host of valuable membership benefits.